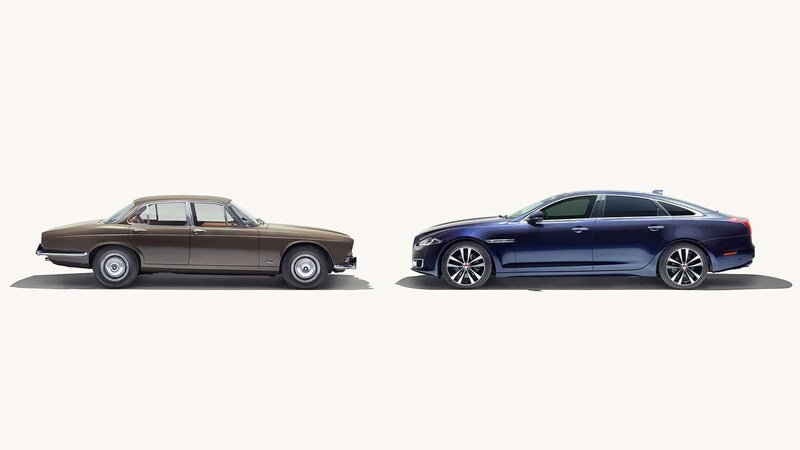 The Jaguar XJ is 50 years old and to help blow out the golden candles, we’ve driven the landmark cars in the sports saloon’s long and storied history. 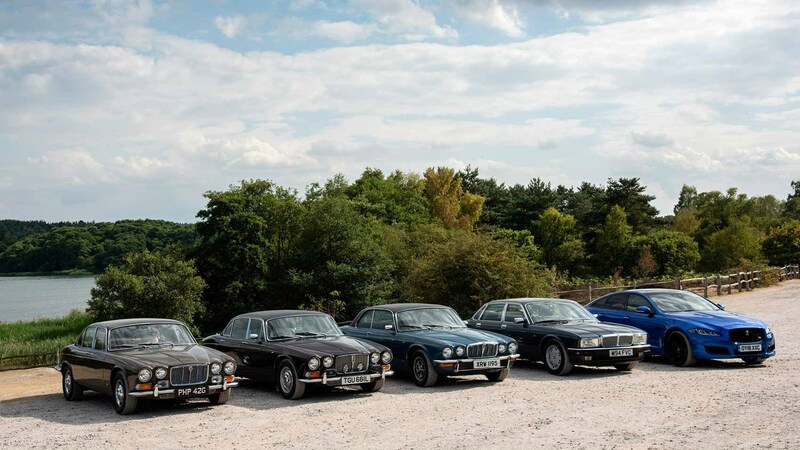 The brand showcased an array of landmark XJs at the recent Paris motor show - and we've driven many of the most important models nestling in the Coventry archives. Despite dwindling sales as buyers flock from four-doors to SUVs, the XJ remains the company’s range-topper and you can chart its lineage all the way back to the 1968 original. On the eve of the 2018 Goodwood Festival of Speed, CAR magazine took a step back in time to see what all the fuss was about. Was the Series 1 as influential as folk would have you believe? Is its spirit alive and well today? And what about the intermediate models, as Jag endured changes in ownership and a tricky transition to the new world order? 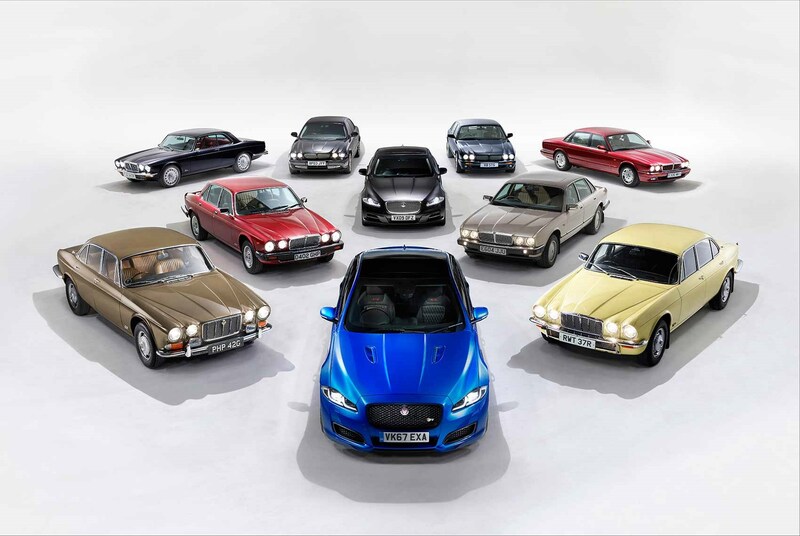 Read on for our 50th anniversary Jaguar XJ special report. 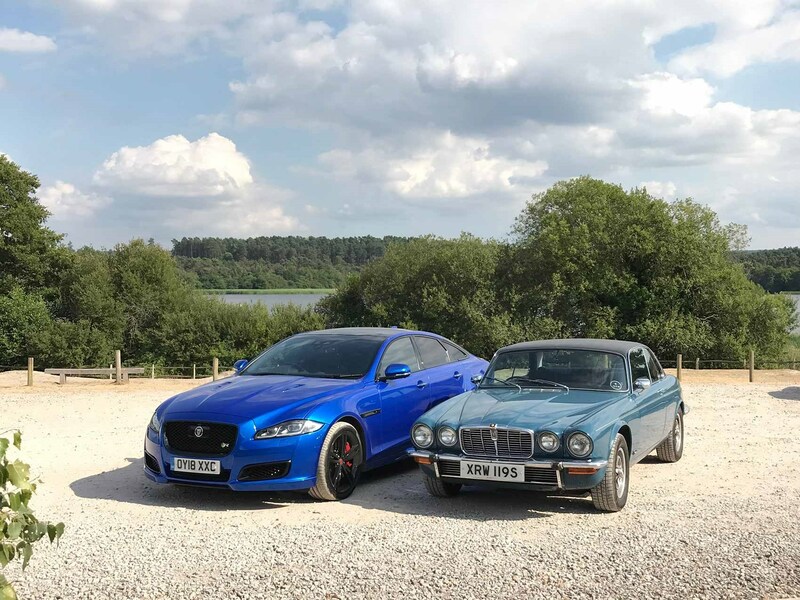 This is where the story began and which better car to drive than Jaguar founder Sir William Lyons’ personal company car? 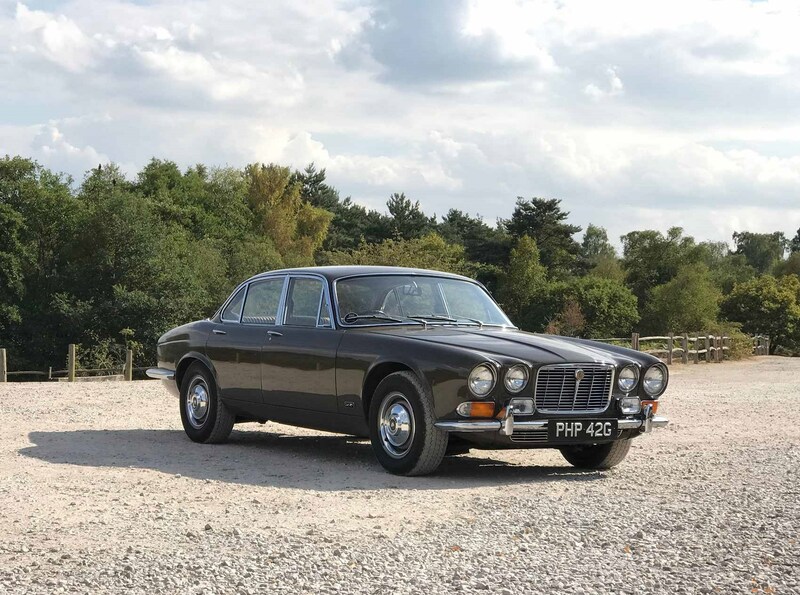 The 370th XJ6 4.2 ever built, it belongs to the Jaguar Daimler Heritage Trust and was restored in 1994. With just 71,000 miles on the clock, it’s a priceless slice of Jag history. 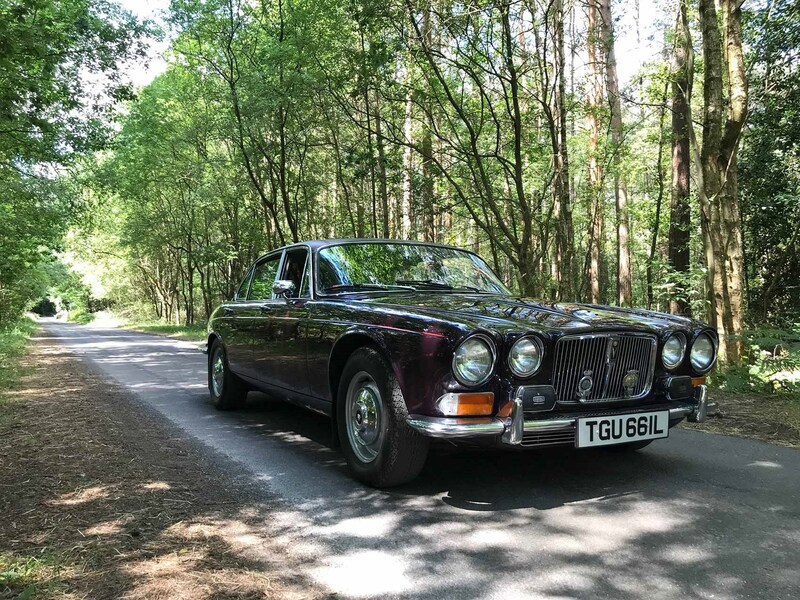 There’s an undeniable catwalk cool to the design: to men and women of a certain age, it’s exactly what the mind’s eye conjures up when you say ‘classic Jaguar saloon’ - for me, it’s a toss-up between the class of this 1968 XJ and the gangster-swagger of the Mark 2 Jags. Finished in Sable brown, this one looks a picture and is in exquisite condition. Tug open the solid chrome door handles and the interior is redolent of a bygone era: five Smiths dials dominate the wooden dashboard and the view over the thin, delicate steering wheel is unimpeded, stretching over the contours of a shapely bonnet nestled around those quad headlamps. Lyons’ was a carburettored 4.2 straight six and it fires into life first time as we strap in with an old-school clasp-style three-point seatbelt. Snick the slender gearlever into D (no manual heroics here) and we’re off, wafting down the road in true XJ style. You can sense the ‘Grace, space and pace’ mantra alive and well in this earliest of XJs and the packaging is remarkable; despite the low bonnet, short wheelbase and those flowing, sensuous lines, there is room aplenty inside with accommodation to shame many modern limousines. Narrow, upright A-pillars lend a clear view out, reducing the worry of driving a chapter of motoring history around the gently undulating Surrey hills. 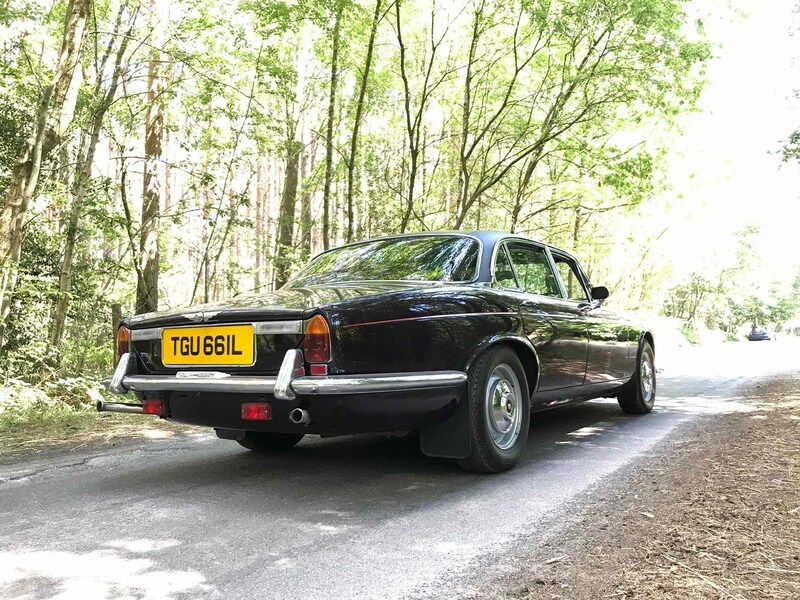 With a speedo reading to 140mph and a 5000rpm redline, the 245bhp XJ6 had decent performance creds in its time and Jaguar quoted a 124mph top speed; it still feels brisk today, yet it’s the slowest car we drive in our trip down memory lane. Better to pootle and enjoy the wafty ride quality honed by engineering genius Bob Knight, lounging in the lovingly worn leather and wooden interior whose smell should be bottled and sold as Hint of Sixties. The delightful wooden panelling across the door tops reminds me where current design chief Ian Callum must’ve got the idea for the Riva line in the modern XJ, encircling the interior - and the electric windows have a shockingly fast action. What a modern car this must have been back in 1968. 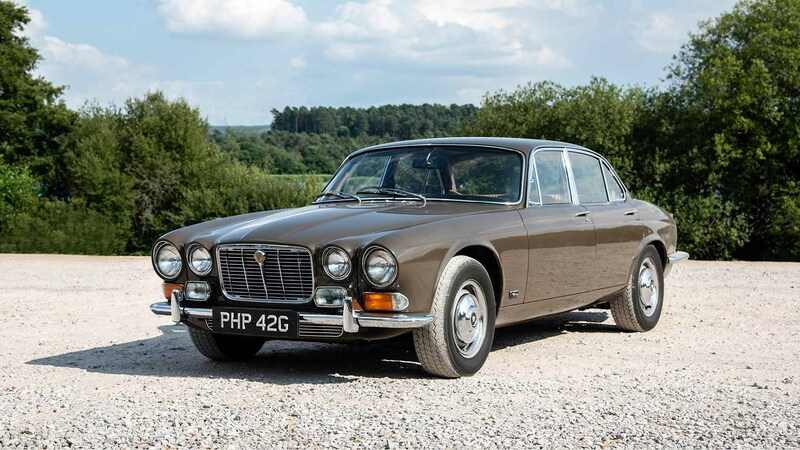 From one famous XJ to another: in 1972 Jaguar squeezed the V12 from the E-type into the XJ’s engine bay and a year later the Royal Household ordered this long-wheelbase model for HM The Queen Mother. The paintwork is divine in unique Claret, finished off with an orange coach stripe stretching along its flanks and a very period-looking vinyl roof for a two-tone finish. 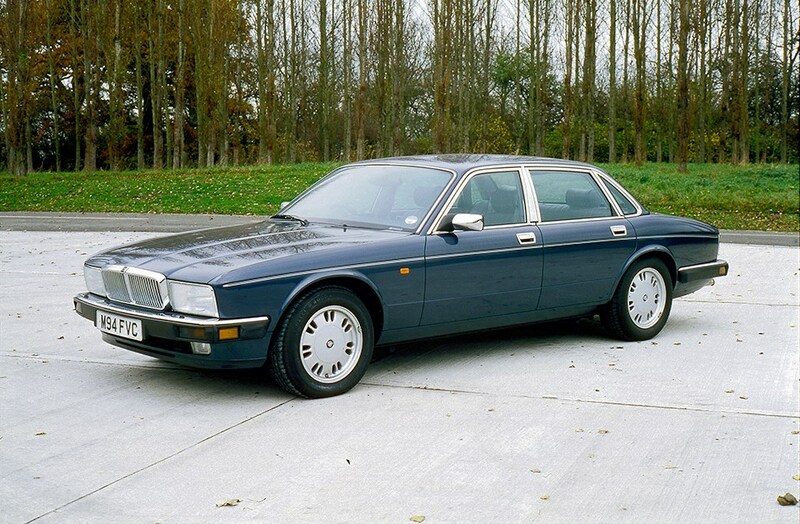 Nestling on modest 15-inch wheels, the exterior styling is little different from Sir William Lyons’ Series 1 we drove above - but the royal connection bubbles away throughout. Regal etiquette dictates that there’s not just an RAC badge on the front, but an AA one too, there’s an attachment on the bonnet for the royal pennant and the period Lucas foglights set the grille off to a purposeful tee. London coachbuilder Vanden Plas added some special interior touches and it’s a captivating cabin, complete with an eight-track ‘Radiomobile’ stereo and the plushest rugs you’ll find this side of a Rolls-Royce. Fire up the V12 and it’s pulling at its leash from start-up. Tickover’s not quite right on this car and the automatic transmission’s creep is positively straining at the brakes, as if Ma’am is in a rush for her evening G&T. Wiggle the thin gear selector to Drive and we purr down the road, the added refinement of the V12 bringing serene progress to the unperturbed, gliding ride. It feels every inch the blueprint for what a Jaguar saloon should be: graceful, rapid progress in the classiest style imaginable. Switch to the rear seats and the LWB conversion is apparent; her majesty would’ve had a very good pew in the back, with a decent view out and those lush rugs resting one’s feet while the occupants practised the window-cleaning royal wave. RHU 661L (formerly registered with NLT 7) has done 62,000 stately miles and was my favourite XJ of the lot, its added performance lending a surprising turn of speed. When manoeuvring for photography it occasionally refused to select gear, but otherwise felt robust and suitably regal. The Queen Mum bequeathed it to Jaguar in her will and it passed to the Jaguar Daimler Heritage Trust on her death in 2002. 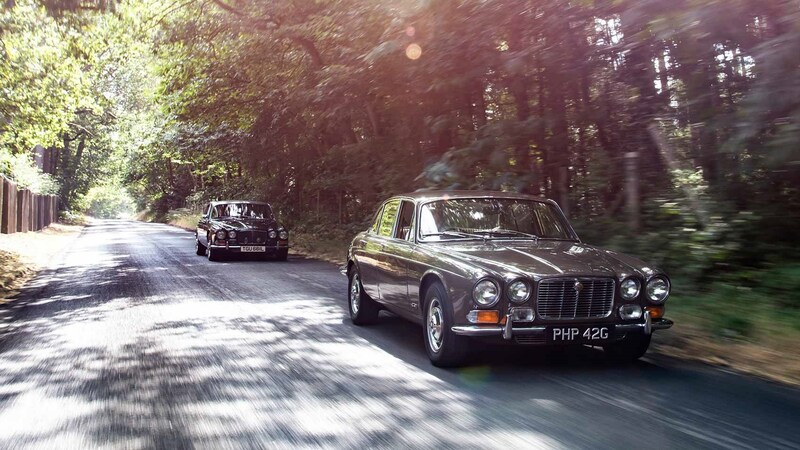 From two seminal XJ Series 1 saloons, we pass to the Series 2 - and a svelte, subtly evolved new silhouette. The Coupe was a short-lived affair, dumping the rear doors for a very cool, pillarless two-door vibe. Front and rear windows drop for a smart, alfresco, semi-cabrio feel, but complications over doors seals, wind noise and production difficulties meant only 10,426 examples were built in its short lifecycle from 1975-77. Ours is the last off the line and looks fabulous in its period Squadron Blue, with an impossibly low 11,312 miles on the clock. The vinyl roof is more apparent against the pastel blue paintwork and word is the plastic topping helped torsional rigidity which on this wide-opened, wobblier bodystyle could crack the paint. A decade after the launch of the original XJ, the Series 2 was showing signs of modernisation: the rectangular black plastic air vents are a painful reminder of the changing of the guard as the 1980s dawned. It’s significant to think this car was launched in the same year as the XJS, the XJC sporting a much more usable pair of rear seats, despite being based on the short-wheelbase XJ chassis. With the windows lowered (the glass retreats surprisingly quickly again), there’s a wonderful open-air feel to progress. That cultured V12 burble is more easily enjoyed and because this one is fuel-injected it’s even quicker to start and never misses a beat. An ample 285bhp ensures swift, long-legged performance on our Surrey test route. 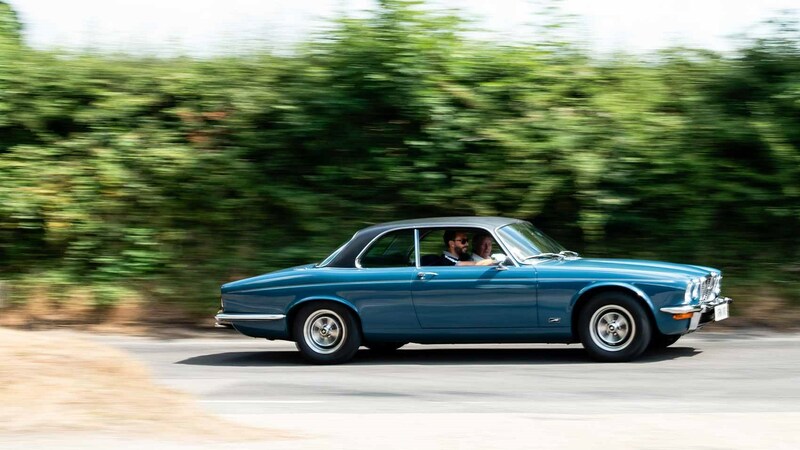 Like the XJ saloons, the coupe has a crisp delicacy on the road; it all comes back to that ride again - the modest 15-inch wheels shod in 205/70 period tyres and compliant suspension delivering smooth progress. 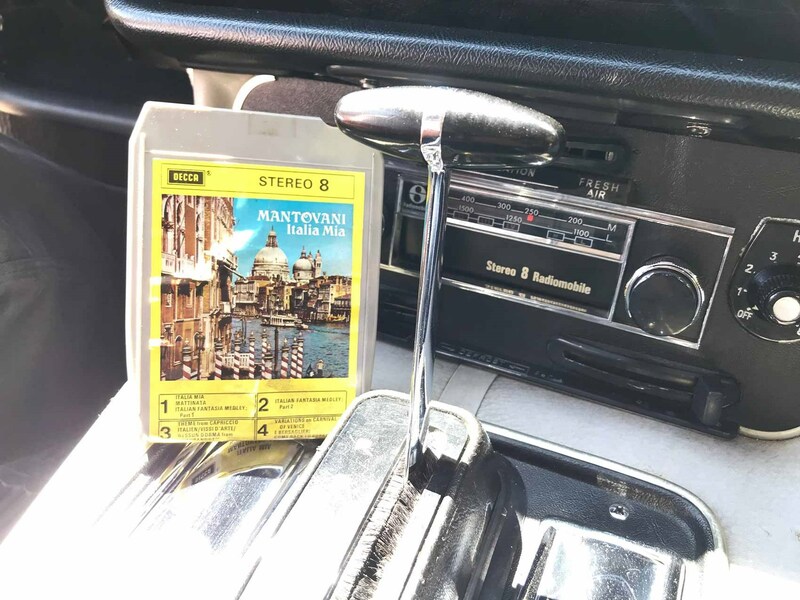 Velour upholstery is a reminder that the 1970s wasn’t all good, however, and the widespread use of exposed screws on the dashboard and that new, plastic, extra switchgear is a reminder of the changing of the guard in the British motor industry at the time. Another detail resonated with me: twin 10-gallon fuel tanks, accessed through the most glorious solid chrome filler flaps on the rump, are present on all three of the first XJs. Drivers had to keep an eye on the delightful Smiths gauge and flip over the first tank before running out (sooner than you might think in a 5.3-litre V12). Coming off the back of the 1970s fuel crisis, it felt like change was afoot. That societal change eventually led to the XJ40, which finally launched in 1986. Incredibly, the original XJ lasted nearly two decades, undergoing only light evolution. But the XJ40 was very much a leap into the future: from the styling to the manufacturing and engineering within - this was designed to be a Jaguar saloon for the modern era. The styling is perhaps the most shocking change. Jag kept the long, low bonnet of the S1 and S2, but the adoption of rectangular headlamps was at odds with decades of the brand’s history and the interior fights a battle between heritage baggage and modern opportunism. After the delightful simplicity of the early XJs, the 40’s interior feels like a confusion of black plastic buttons - nowhere more so than around the instrument pack, where 14 switches operate additional trip computer and minor functions. It’s like a Casio calculator watch of the 1980s had a major influence in the design halls of Coventry. The fact the dials are inlaid in wood reflects the push-me-pull-you design conundrum Jaguar has faced ever since. More telling still, we have entered The Era Of The Cupholder, which speaks volumes for the changing tides. Poke around the interior and there are thankfully still familiar XJ relics, such as the solid chrome ashtray in the rear doors. Our 4.0-litre Sovereign is the final XJ40 ever built and has completed an extraordinarily low 6842 miles in its 24 years. Credit where it’s due, the XJ40 drives like a much more modern car than the Lyons or Queen Mum’s car. Snick the Randle handle gearlever into D and the straight six is off, pouring down the road with a vigour that a ‘60s XJ wouldn’t recognise. It still rides decently, but there’s a more contemporary feel from the smaller sidewalled tyres and the more sporting chassis set-up. Shame about the ugly, fat-rimmed steering wheel, whose boss is dominated by an SRS airbag - the spindly thin helms of the earlier cars are divine by comparison. 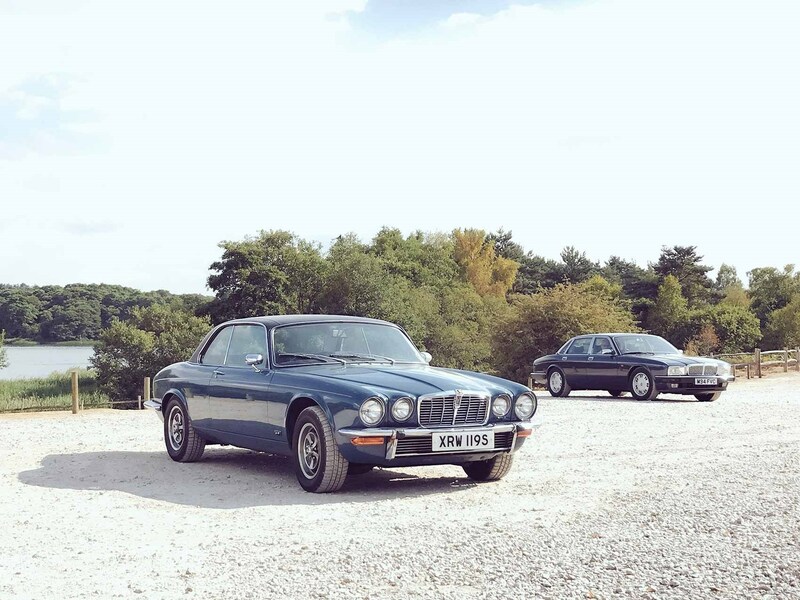 Although one of the more unloved Jaguar saloons, the XJ40 bridged the gap between old and new and launched the big cat into the modern era and the Ford years. It’s telling that the X300 that replaced it returned to a more traditional exterior style, a look that was kept for the X350 of 2003 and its radical aluminium architecture. The XJ has always worked best when it’s technically innovating as well as sashaying about stylishly. Fast forward a few years and we end up with the current X351 Jaguar XJ, driven here in end-of-the-line XJR 575 spec. Ironically, you can no longer buy this car as Jaguar has quietly dropped V8 engines in its range-topper as it prepares to launch a successor later this decade. It’s hard to believe the Ian Callum design is nearly a decade old and casual bystanders may struggle to see the lineage with the 1960s cars. Rear styling with those wraparound vertical lights in particular remains divisive, but time has softened the look and it’s still very much part of the modern Jaguar clan, rolling on the much beefier 20-inch alloy wheels beloved of modern poseurs. The supercharged V8 is effortlessly fast, a hint of compressor whine under full-bore thrust, but it relaxes to a more sedate gait at a cruise. 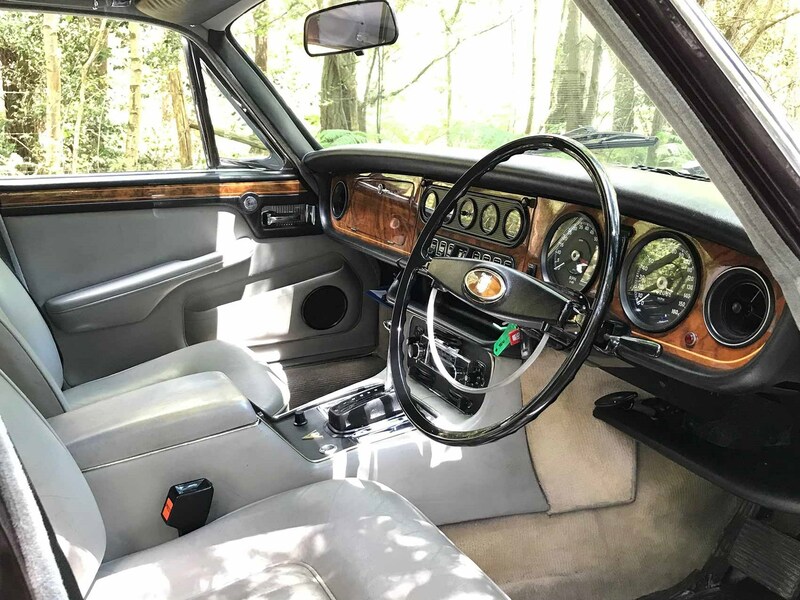 You’ll miss the spindle-thin steering wheel of its forefathers, but this is a stylish cabin, ringed by the ‘Riva line’ encircling the door cards and dash-top. It’s just a shame the Space has gone - our car’s double sunroof gobbles headroom and it’s hard to square five decades of progress with the more hemmed-in feel of modern tumblehome, huge chunky electro-assisted seats and sliding glass roofs. Each of the XJs we’ve driven captures the state-of-the-art Jaguar vibe of its time. Does anything bind them together? 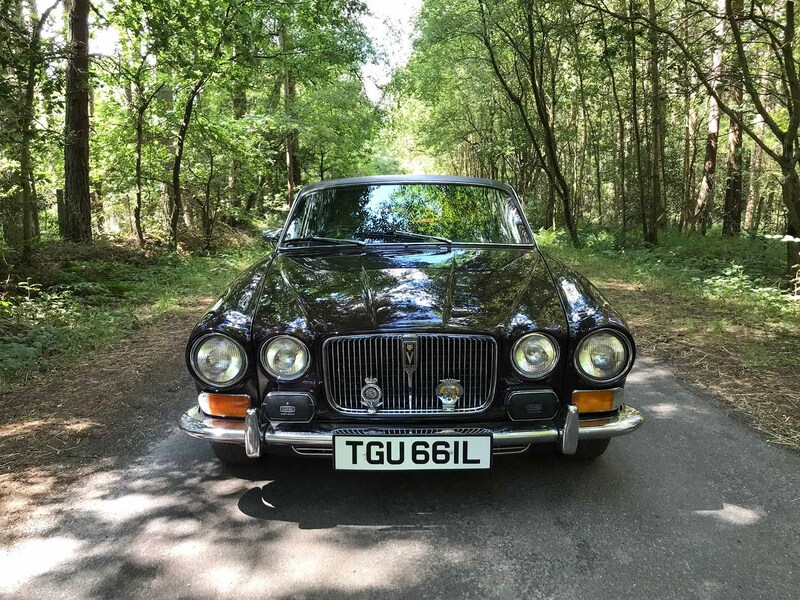 Is today’s XJ true to Sir William Lyons’ 1968 original? As a past winner of the Sir William Lyons award for up-and-coming student journalists, I feel a special connection when I drive his Series 1. Here was a man who had a very clear goal for his products and the ‘60s fast four-door is a lesson in understated elegance. 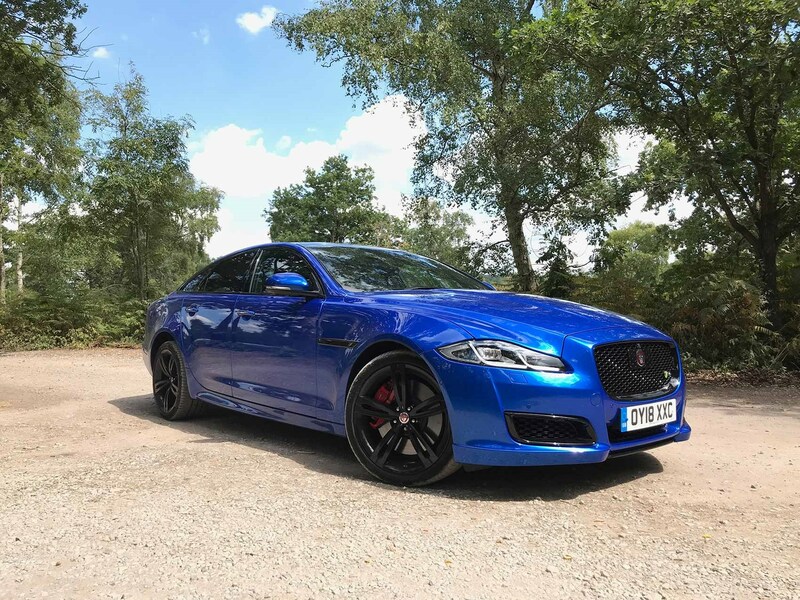 From royal connections to two-door posing, from the difficult 1980s transition to the latest all-aluminium techfest, there is a sense that every era of Jaguar XJ has fought for contemporary relevance. Some eras have been more successful than others, but that spirit of pioneering sporting luxury seems a common thread in every XJ. I for one can’t wait to see the next chapter in 2019 when the limo is rumoured to be going electric to rival Tesla. I only hope they tread the fine line between looking forward and back just so: Jaguars rule the world when they get the balance right.